LOOKING FOR A BETTER PRODUCER. Please Read: Due to the issues with 75+ year old 8mm Nambu pistols not functioning correctly and the untrained users blaming the ammunition and not the fact it is the pistol that is not functioning correctly, please have your firearm fixed if you have an issue, it is not the ammunition. 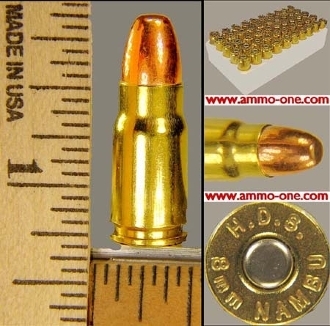 This ammo is tested regularly and works 100% in a good functioning firearm.